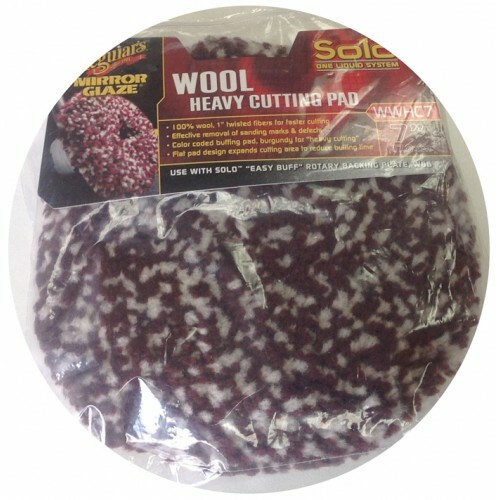 100% wool, 1" twisted fibers for faster cutting. Effective removal of sanding marks & defects. Color coded buffing pad, burgundy for "heavy cutting". Flat pad design expands cutting area to reduce buffing time. 7" diameter.